April Calligraphy Class in Nashville Announced! 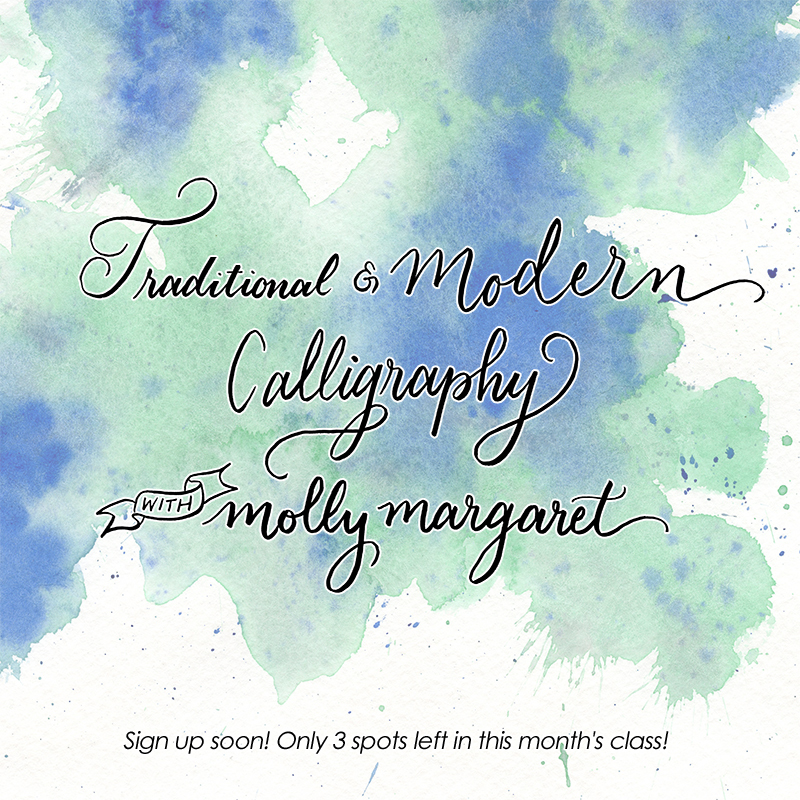 I’m happy to announce I’ll be teaching my Traditional and Modern Calligraphy Class twice in April. You can choose between: April 5, 2014 from 9am-1pm or April 6, 2014 from 9am-1pm. Please see below for more info about the class and registration…. This class will be a one day workshop from 9am to 1pm. I’ll be teaching a one day class twice in April. April 5, 2014, 9:00am-1:00pm (SOLD OUT) or April 6, 2014, 9:00am-1:00pm (SOLD OUT). 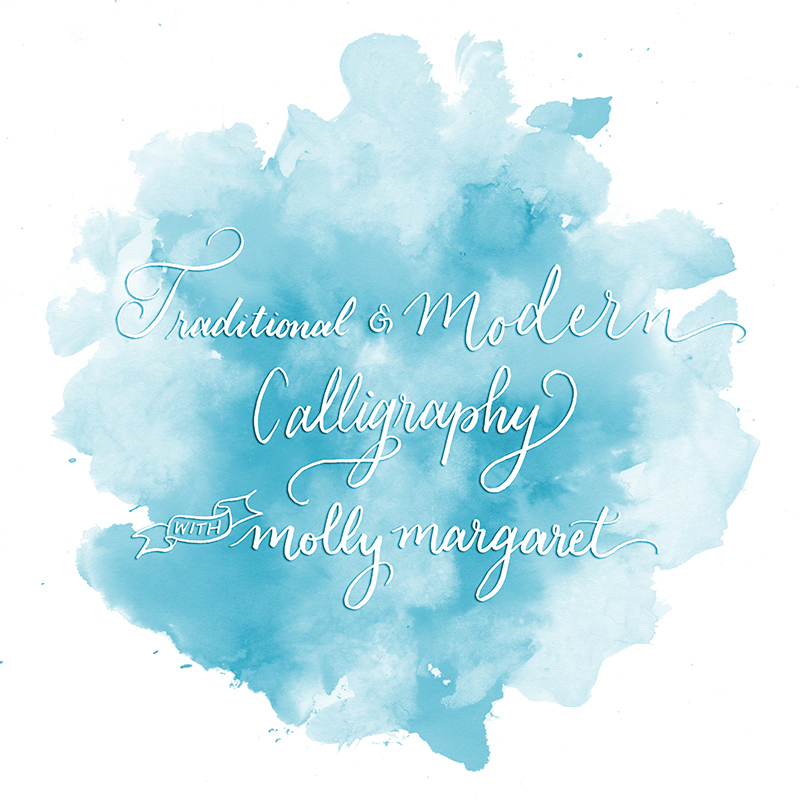 Learn Calligraphy with Molly Margaret : New March Dates! In this class we will take a look at traditional calligraphy scripts and modern styles. You will walk away with knowledge on using the unique tools involved in dip pen calligraphy, traditional and modern lettering styles, paper and ink choices and more! We will explore how to use different nibs, pen holders, guidelines, ink and paper. The first part of class will be focused on traditional copperplate letterforms. It’s important to understand the foundations when learning a new skill. The first session will give you an understanding of the main concepts of calligraphy. In the second part we will look at how to expand your skills. We will dive into a more modern calligraphy style, learn more about paper selection and go over any other questions! I’ll have a variety of nibs, pen holders and inks for you to try out if you choose. My goal is to help you begin a journey in calligraphy. I’ll take time with each student one on one to provide you with techniques and tips to further your skills. I’ll be teaching a one day class twice in March. March 1, 2014, 9:00am-1:00pm (SOLD OUT) or March 2, 2014, 9:00am-1:00pm (SOLD OUT). Thank you to everyone who signed up for these classes. Both classes have been filled. When I announced my January calligraphy class I was blown away by the response. The class filled up within 24 hours and the waiting list has been growing every day since. It’s amazing to see so many people reaching out to learn this art form!! So I’ve decided to add a second class on January 11th. The second class will be my Traditional and Modern Calligraphy 4 hour course held at Paper and Ink Arts in Nashville, TN. But it will take place from 3pm-7:15pm on January 11th. This class will be a one day workshop from 3-7:15 pm. We will explore how to use different nibs, pen holders, guidelines, ink and paper. The first class will be focused on traditional copperplate letterforms. It’s important to understand the foundations when learning a new skill. You’ll leave the first session with an understanding of the main concepts of calligraphy. You’ll also leave with a little homework. In the second session we will look at how to expand your skills. We will dive into a more modern calligraphy style, try colored inks, learn more about paper selection and go over any other questions! I’ll bring my collection of inks, nibs, pen holders and papers for you to test out. Thank you to everyone who signed up for this class! It has been filled. Thanks! Time flies when you’re having fun. So I guess that means I’ve been having a blast. Last month I started offering calligraphy classes in Nashville and it sold out in 48 hours! It was wonderful to share my love for calligraphy with my students. It was even more amazing to see how quickly everyone picked up the skills. Seriously, my students were naturals! I had a blast and I think they did too. A huge thank you to everyone who attended. I couldn’t have asked for a better group. ps. The class will take place at Paper and Ink Arts. They recently purchased an overhead projector so I’ll be able to add a few spots to the class and everyone will have a great view of how to create beautiful letters! This class will be a one day workshop from 9am-1:15pm. Thank you to everyone signed up! This class has reached it’s max. If you’d like to be alerted of any cancelations or future classes (be the first to know!) please email me below with your name and email address. Because this class filled up so fast I’ll be teaching again late Jan or early Feb. The second date will be announced to those on the waiting list first. Thanks! This class is divided into two sessions. Each session will last 2 hours. To join this class please use Paypal to complete your registration! This class is full. Please check back for additional classes in the future. Thanks! It’s been months in the making and I couldn’t be happier to announce that Esque Script is now offering personalized iPhone cases! I’ve been testing out the prototype on my phone for the past week and I love it. It’s light weight but durable, doesn’t feel flimsy or like it’s going to crack. Plus the colors pop on the glossy finish. I’m smitten with it. I’ll be offering the cases in a few different styles. The first edition being any two words or name over a painted background. 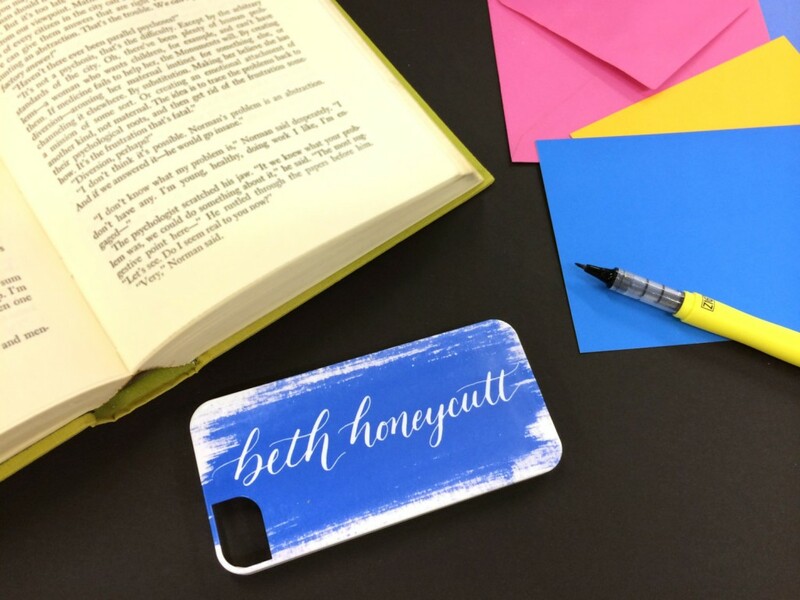 Each case is handwritten in calligraphy and then digitized to be printed on a one of a kind phone case. 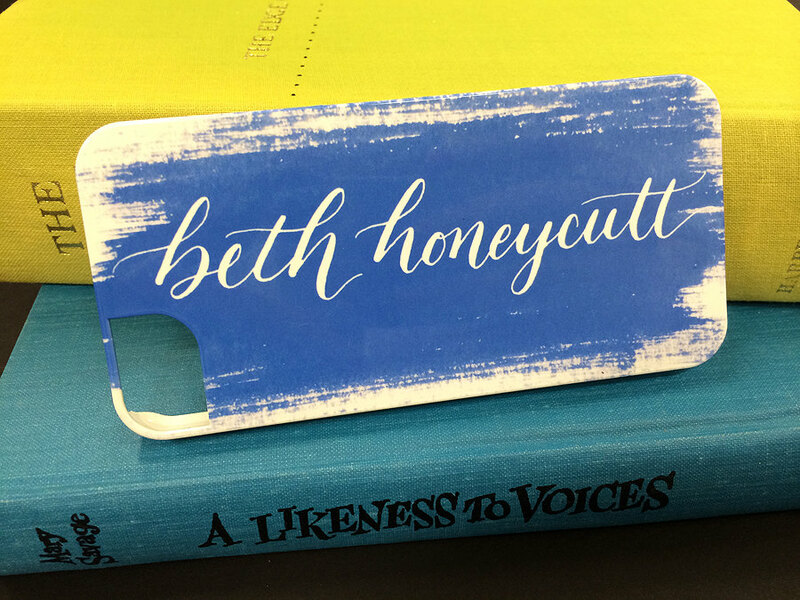 Because I’m so pumped about these cases I’m offering a coupon code for a limited time! 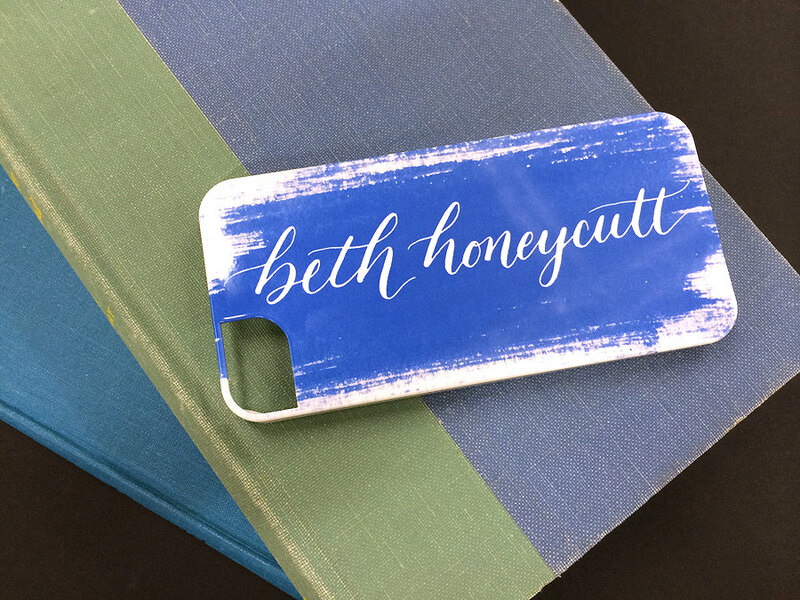 Use the promo code ” CALLME ” at the check out to save 10% on all iPhone case orders placed through Etsy now through Oct 23, 2013. A great way to get a jump start on your holiday shopping! Cases are currently available for iPhone 4, 4S, 5C, 5 and 5S. Check back next week when I’ll be launching my new iPhone case bridal edition. 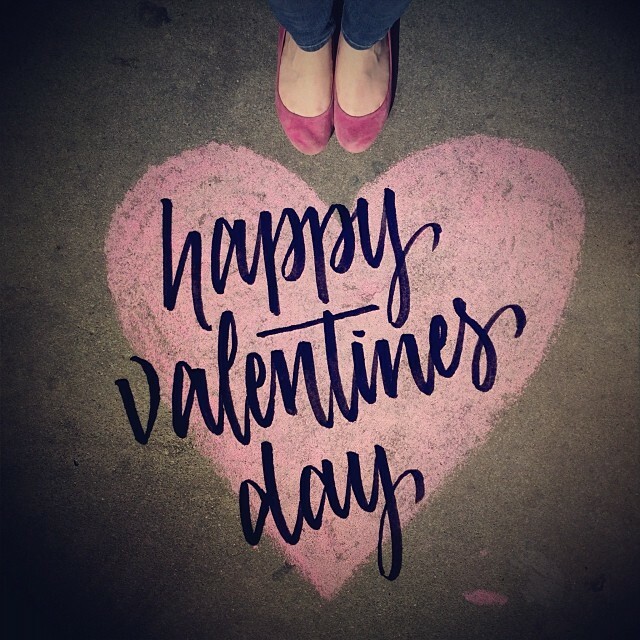 Nashvoix Interview : Nashville Calligrapher aka me! One of my favorite things about living in Nashville is all of the passionately creative folks you meet on a regular basis. A friend of mine recently started a photography blog to feature these individuals. I’ve enjoyed reading it and when she asked if I’d like to be interviewed I jumped at the opportunity to share my calligraphy. 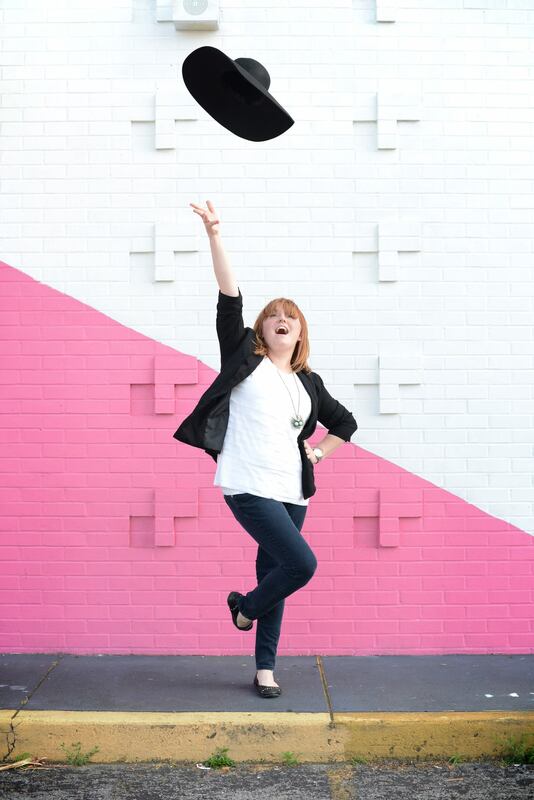 We had such a blast taking the photos and I think you can tell by the result. Below you will find the interview and photos. Thank you Mary-Beth for all the lovely images and for sharing your passion for photography and people will all of us. You are a true gem. Be sure to check out Mary-Beth’s other interviews on Nashvoix! 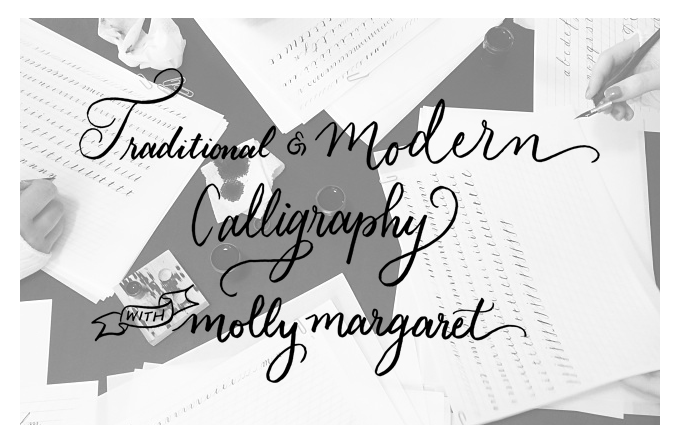 My next interview is with local calligrapher, and jill of all trades, Molly Margaret Povolny. She is one of those people who are so incredibly driven and talented, that you just hope a little of their excellence will rub off on you during your time together. She has a knack for being incredibly gifted at whatever she puts her hand to, and is great at inspiring those around her to do the same! Her most recent venture is in the art of calligraphy, and she has become a sensational presence in that community in such a short time. Today she is going to share with us a little about what brought her here on her journey, and how excited she is to continue to grow in her craft. First of all, can you give us a little personal history? what made you decide to make Nashville your home? Well, I moved to Nashville 10 years ago to attend Belmont University. I interned and worked in the music industry before transitioning to graduate with a degree in Entrepreneurship. Both of my parents are entrepreneurs. My mother has a successful fine art and vintage greeting card business and my dad is a jack of all trades. He can build anything and problem solve like no one I’ve ever seen! I was raised surrounded by art and creativity so it seems only natural that I ended up with my own art business. Nashville is such a great city for creatives. Lots of like-minded people and inspiration. I fell in love with the small town feel but bigger city varieties. I’ve loved fonts and design for as long as I can remember. When I graduated from college I started working for a small business that sells markers of all types online. As my job evolved I became our product specialist and marketing director. We carry markers for industrial purposes (like nuclear power plants and oil rigs) as well as arts and crafts applications (like scrapbooking and painting). So I spent a lot of time working with the products to be able to better serve our customers and answer their questions. When we started doing trade shows four years ago we would hire local artists to come and show off the markers. All of these artists were calligraphers. One of them told me about an organization called IAMPETH (International Association of Master Penmen, Engrossers and Teachers of Handwriting) that they belonged to and the yearly conference they attended. It sounded amazing. After spending time with these artists and witnessing their talent I wanted to learn more! So I joined the organization and within a few months I was off to my first convention. It was SO intimidating to be surrounded by such professionals for a whole week. I mean come on, the White House calligraphers were there! On the plane ride back to Nashville I sat next to a fellow calligrapher whom I had met. She asked to see my work from the week. I almost didn’t show her, I was a beginner and still pretty shy about sharing my work but I did. Her encouragement and push to pursue my calligraphy further was just what I needed. I arrived back in Nashville with a mission…. 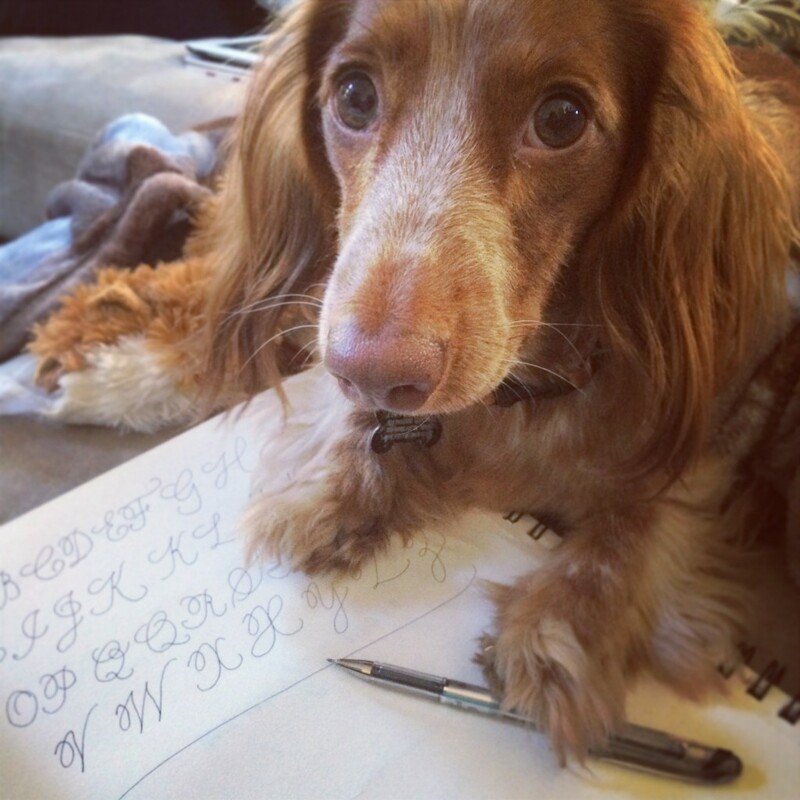 work my tail off and become a professional calligrapher. As a calligrapher, where do you hope to see yourself on this journey in the next few years? That’s a question I’ve been asking myself a lot lately. The thing with this art form is it can go in many different directions. I like to look at it as print art calligraphy vs event calligraphy. I love working with brides and event coordinators and I also love creating pieces for prints, and most recently, a gallery opening. So for now I’m pursuing both. With my Etsy shop (http://www.etsy.com/shop/EsqueScript) I’m able to work with people all over the country. I’ve been so lucky to work with some amazing and creative brides the past couple years. I really look forward to working with more and expanding my offerings both event and art wise. What is the thing you love most about our wonderful city? 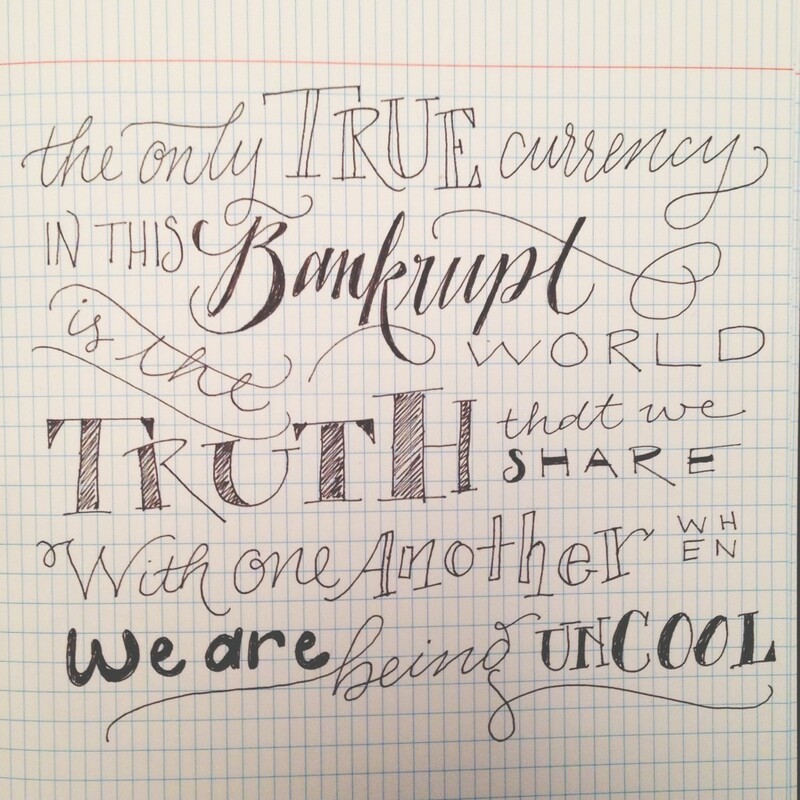 Do you feel there is a community presence of other people doing calligraphy in Nashville, or do you look to people in other cities for inspiration/comradery? There is actually a very close community of calligraphers here in Nashville. I’m a part of the Nashville Calligraphy Guild and we meet every few months at Plaza Art. If anyone is looking to learn more, you are more than welcome to join us one Saturday! I’ve never met a community of artists more friendly than calligraphers. I mentioned the IAMPETH conference earlier, they have also been an invaluable resource for me. We all keep in touch throughout the year and any time I have a question about etiquette or ink choice, an answer is an email away. This year’s conference is next month and I get giddy just thinking about it! What is your favorite project as of late? Tough one. I’ve been asked to create custom abstract watercolor pieces a lot lately after I released my Dr. Seuss Be Yourself Print (http://www.etsy.com/listing/124682580/be-who-you-are-dr-seuss-hand-lettered). I really enjoy them. It’s fun to create every aspect of a project, from splashing paint around to fine tuning the layout of the words and then doing the actual calligraphy. Mixing watercolor and calligraphy makes such a statement. I recently designed a tattoo for my best friend and I. That was such a cool experience! Is there anything in particular you do to stay inspired while working on bigger projects? Like, music, films, etc?My iPad is always on in my studio. Usually it’s playing a tv series I’ve found on Netflix. It helps to have something to help me keep pace when doing envelopes. I’m also big into all the documentaries on Netflix. I just watched Beauty is Embarassing, every creative needs to watch that! It’s harder to listen to music while lettering because before you know it you’re in the middle of a sentence and you start writing lyrics instead of the piece you’re working on! Are there any special businesses in the Nashville area where you enjoy spending your time? As I mentioned above I love Rose Pepper and Village Pub. The coffee shops in East Nashville are great. I love the shops in Hillsboro Village, Pangaea and Fire Finch are a few faves. Paper Source and Archivers are great for crafting supplies. However I’m lucky enough to work next door to Paper and Ink Arts, which to the calligraphers out there is also known as heaven. It’s a little too convenient for my wallet’s sake. What are some other things you enjoy doing in your spare time, when not working on calligraphy? Time off? What’s that? Kidding! When I’m not working I’m hanging out with friends around East Nashville. I also love getting out of town and going on adventures. Day trips to Rock Island and weekends in Atlanta. I’m currently sitting at a Sounds game finishing up these questions. To be honest I work a lot. I enjoy calligraphy and creating art so much that it’s the most relaxing and rewarding way to spend my time. Even when I don’t have a project I’ll make one up. I love what I do! What advice would you give to someone who is interested in learning the art of calligraphy? To email me or friend me on Facebook. I’m hoping to start teaching classes in the fall and I’d be happy to talk more about our Nashville guild. I’d also recommend checking out the IAMPETH website www.iampeth.com and going through the archives. I also find a lot of inspiration on Pinterest. My calligraphy board can be found here: http://pinterest.com/markerette/envelopes-letters . The biggest advice would be to just get started. Buy a dip pen, some sumi ink, quality paper, a copperplate book and some nibs. Sit down and just start trying. Go slow at first and don’t give up! The best advice I got was to learn the traditional calligraphy rules of Spencerian and copperplate. When you know the rules you can break them because you’ve put in the hours and understand the concepts fully. I break the rules now and then to make the scripts more my own but I’m so glad I learned the rules first! This past month I’ve spent almost 30 hours on a plane. Traveling to Minneapolis, New York and this past weekend California. It’s been a whirl wind but it’s given me a good amount of time to sit and sketch out new letterforms. I hope to share some new address layouts later this week. Stay tuned!